When the weather is not good I wonder how these little birds can make it. When it gets super cold I start to see birds that don’t normally come to my feeders. Yesterday I had three blue jays stop by because I threw some peanuts out the back door. They gladly too them and flew away. When they were all gone they sat up in the tree and yelled at me to put more out. 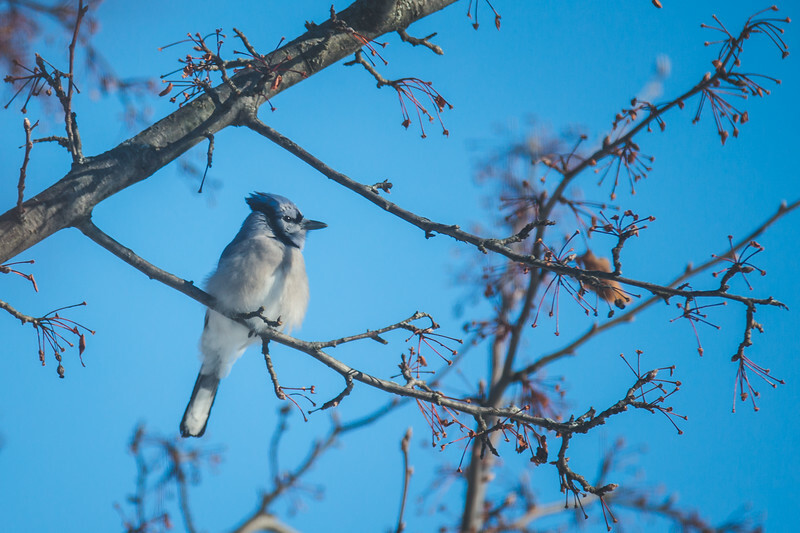 One of the fun things that I have done with this blog is highlight some of the birds that come to my backyard. 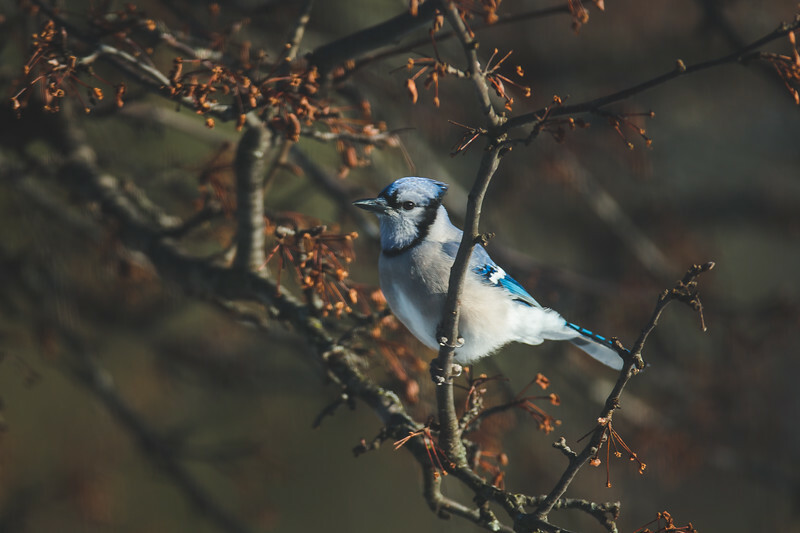 The blue jay is a bird that I rarely see for very long in my backyard. They stay out of camera range and taunt me. On a cold day when I am watching my daughter and can’t go out to make pictures it is nice when the pictures come to me. Amazing the variety of birds there are! Here in Georgia the common bird we see is the red bird, the Cardinal.